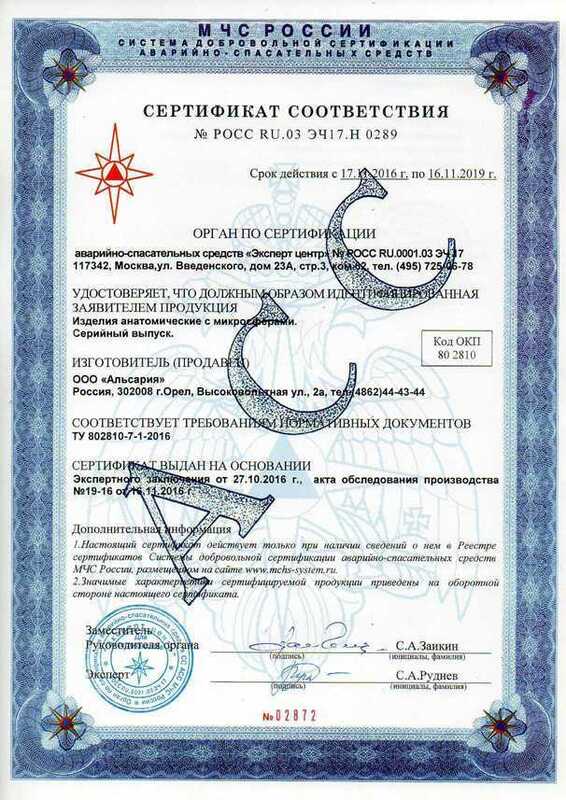 Certificates – Официальный сайт производителя медицинских изделий с микросферами Альсария. 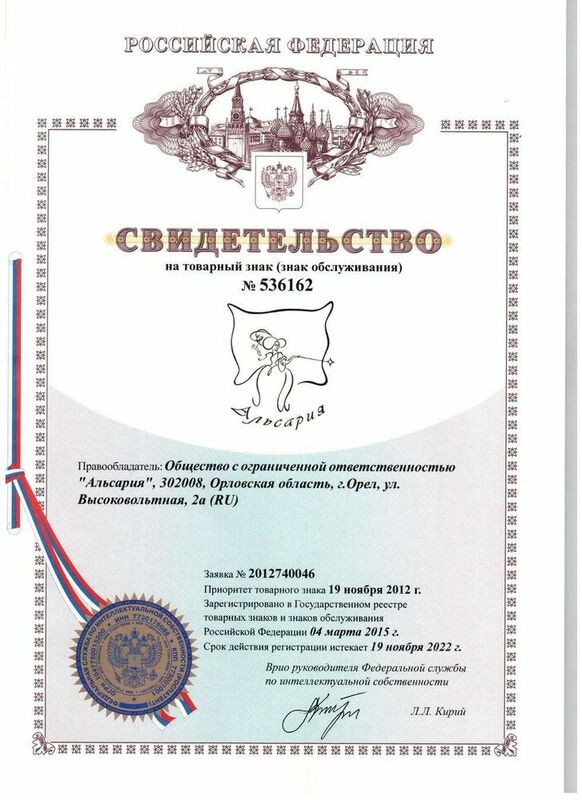 The certificates are issued by a department of Ministry of Health confirming that our products are medicine products and, therefore, may be used not only for prevention, but also for treatment. Alsariya Medicine conform to GOST requirements. 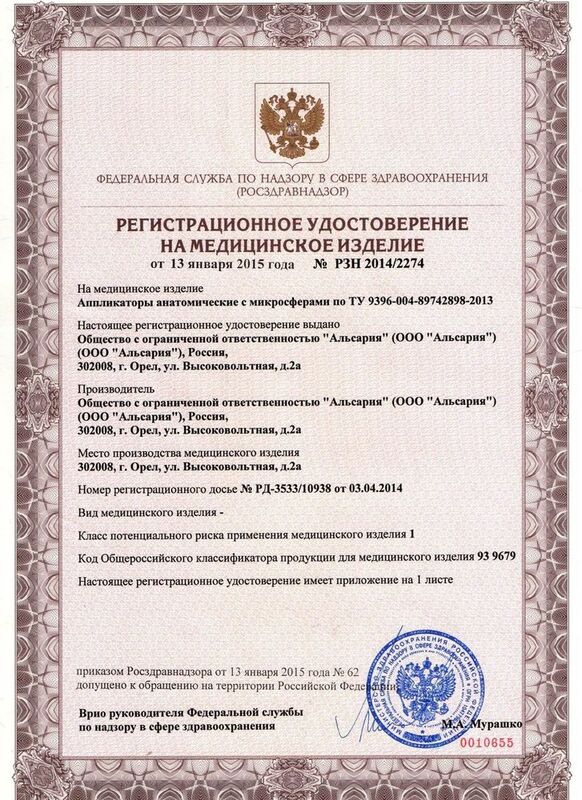 This document is issued based on the toxicological test results and means that our products are absolutely safe. 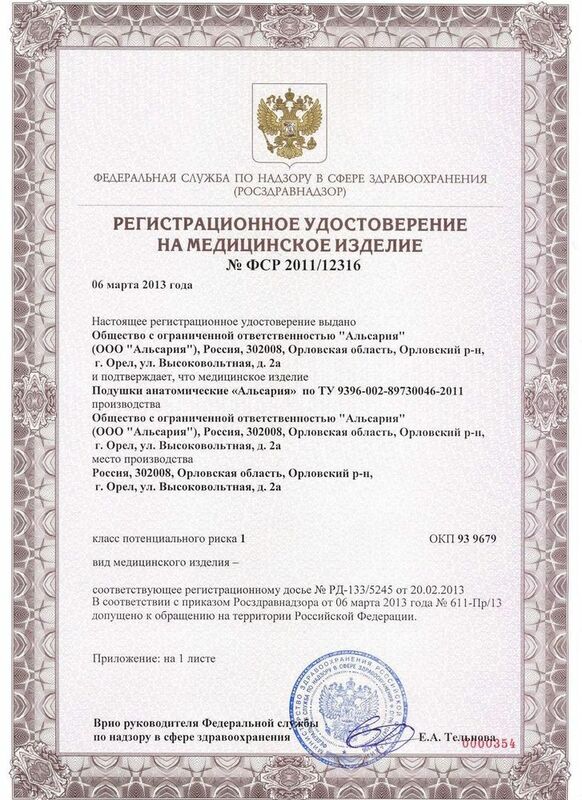 A patent is a document certifying the exclusive right, authorship and priority with regard to an invention. 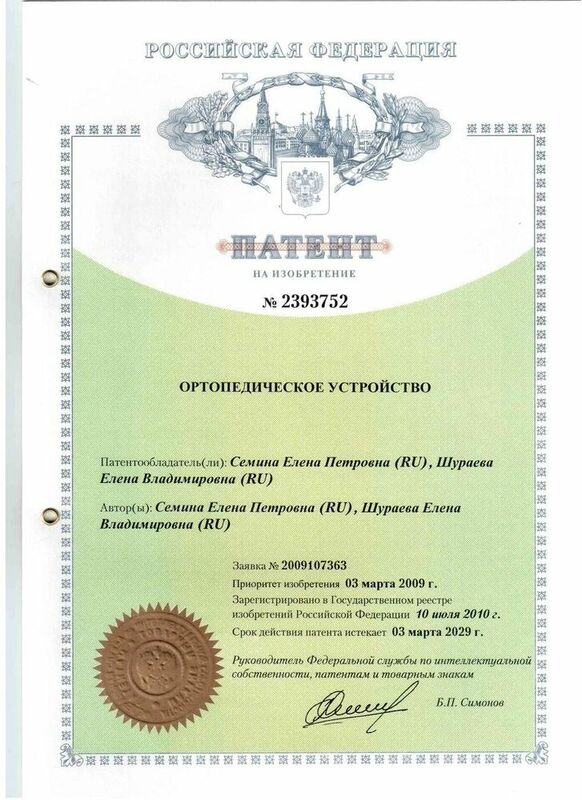 The patent we have means that we are the authors of the invention and have the right to manufacture it. 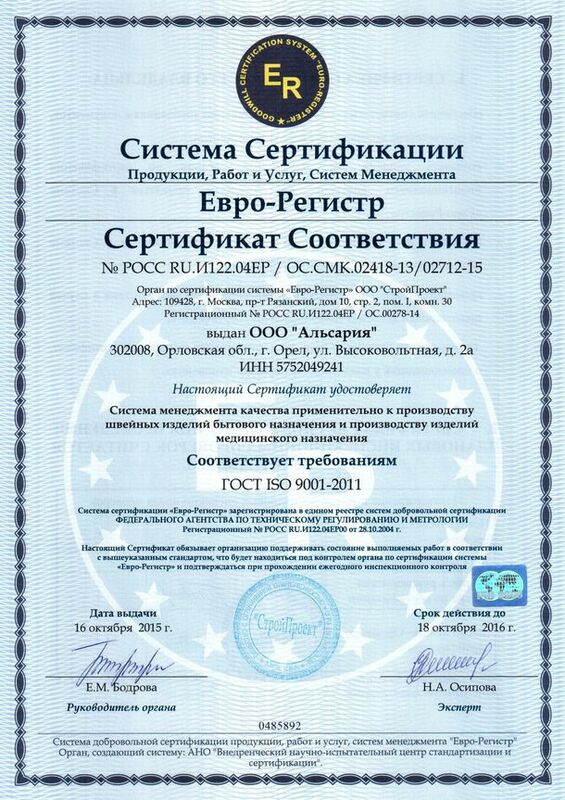 The certificate of conformity confirms that the process quality management system complies with ГОСТ Р ИСО 9001-2008. 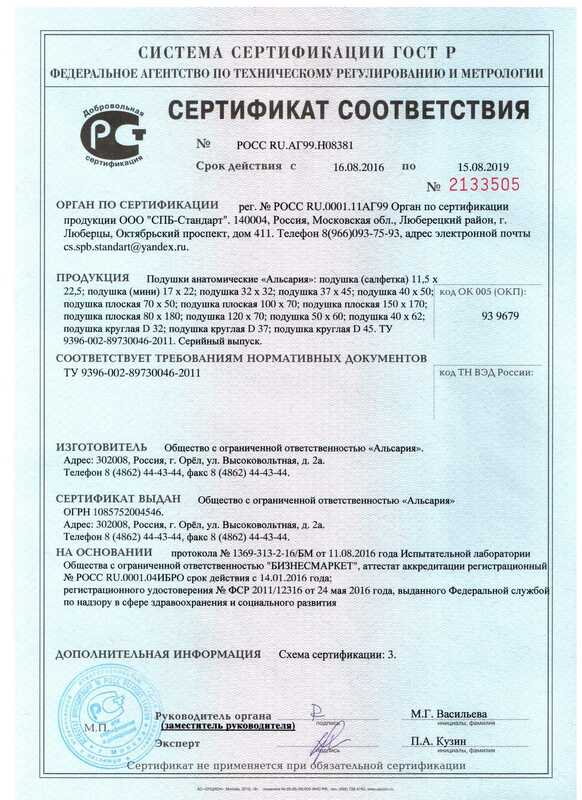 We do not manufacture our products “in a neighbouring basement”, but on the advanced well- equipped production facilities. Our employees are qualified professionals with years of experience in clothing manufacture. Our General Manager is a physician with experience.